Interviews with ... Jean Kwok, Isabel Allende. 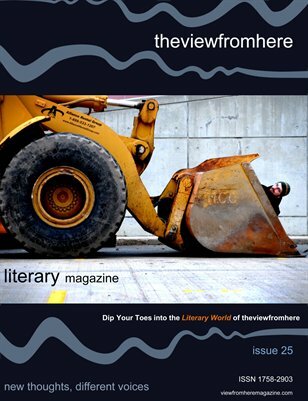 Original Fiction at thefrontview by: Joshua Rapp Learn, Dan Powell, Michael Spring. Original Poetry at therearview by: Oritsegbemi Emmanuel Jakpa, Philip Leslie, Sarah Faith Ethridge , Joseph Farley. Guest Writer: Literary Agent Annette Green.